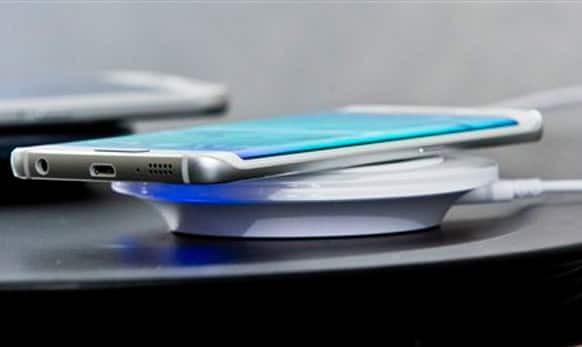 Galaxy S6 Edge, is shown on a wireless charger at a special press preview. 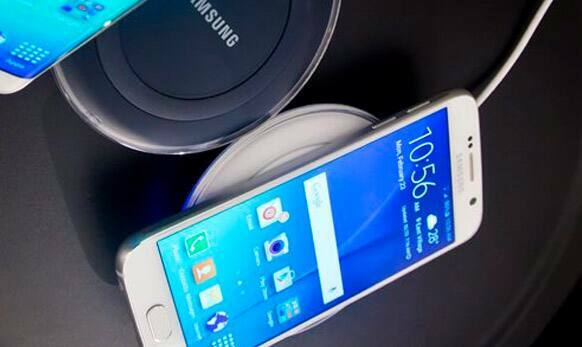 Both the devices have wireless charging feature. 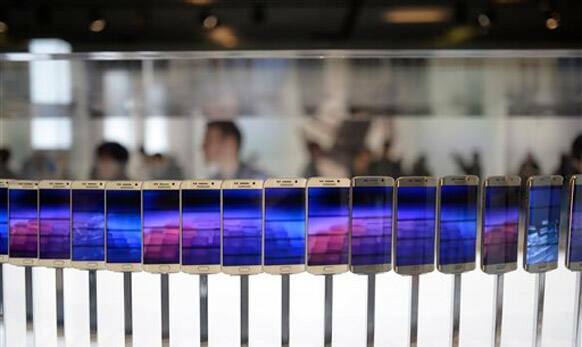 Samsung new flagship phone ditches its signature plastic design for metal and glass. 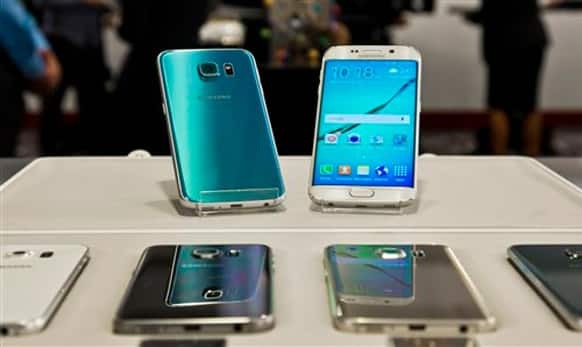 The smartphones have 5.1-inch Quad HD Super AMOLED screen. 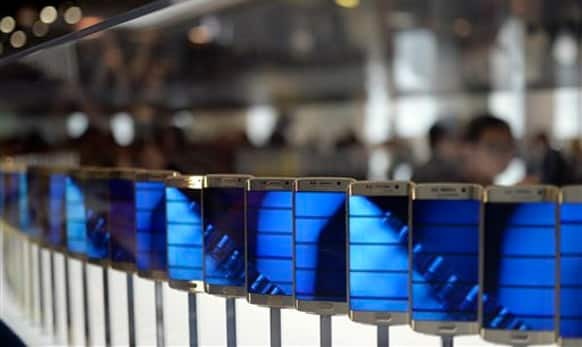 They have world's first 14 nano meter mobile processor with 64-bit platform. 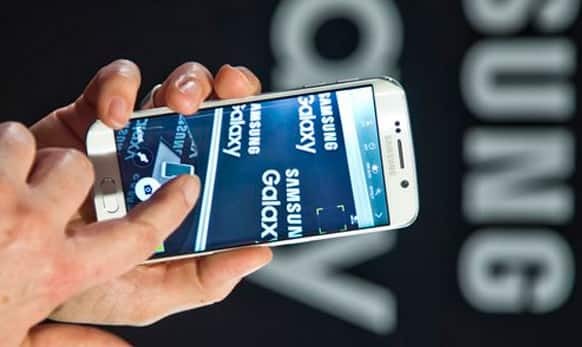 In 10 minutes of charging the phones can work for 4 hours. 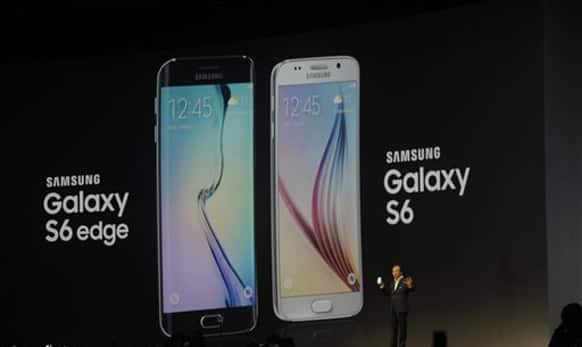 The Galaxy S6 and Galaxy S6 edge F1.9 lenses and high resolution sensors. 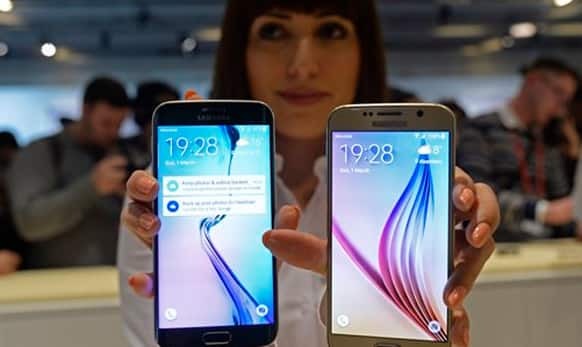 The phones offer a pixel density of 577 pixel per inch. 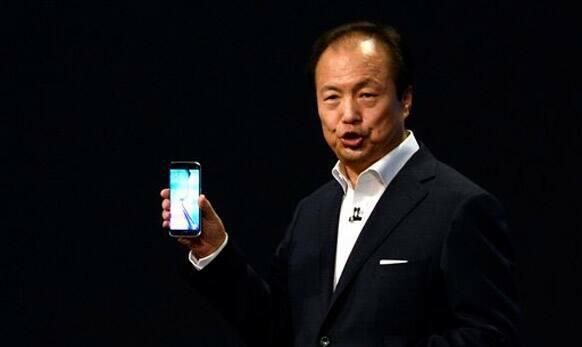 The phones have 5 megapixel in front and 16 megapixel rear cameras. 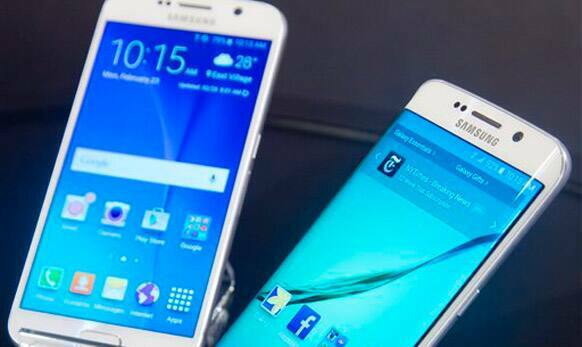 Samsung will launch Galaxy S6 and Galaxy S6 Edge in India on March 23.